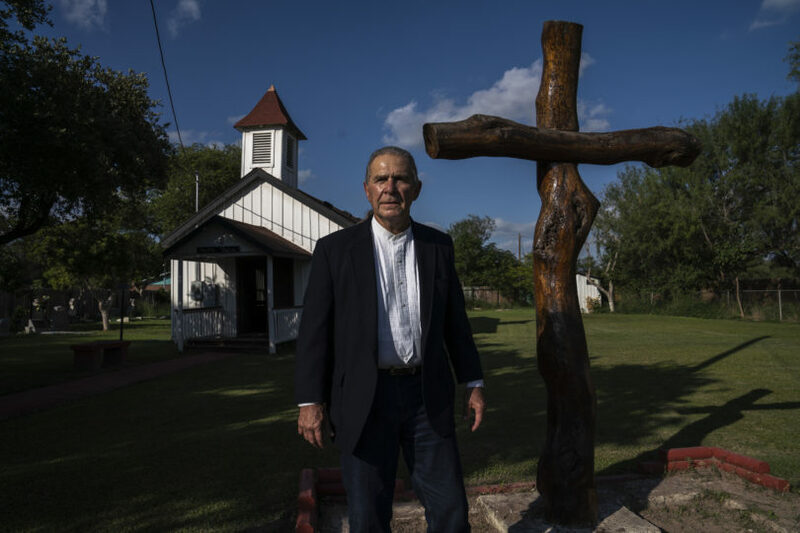 Ramiro Roberto Ramírez in front of the Martin Jackson Church and Cemetery in San Juan, Tex. on Nov. 6, 2018. In 2018, the Trump administration received $1.6 billion to build 33 miles of wall in the Rio Grande Valley, which encompasses four border counties — Starr, Hidalgo, Cameron, and Willacy. The first 14 miles of that will are set to be built in Hidalgo County near historic cemeteries with a rich history dating back to the Civil War era. The 2005 Real ID Act gives the secretary of Homeland Security unilateral authority to waive any federal law that would impede construction of the wall, including the Antiquities Act and the National Historic Preservation Act. One family whose grave sites may be destroyed served as a Texas outpost on the Underground Railroad. At the ranch, a multiracial community of tolerance thrived. 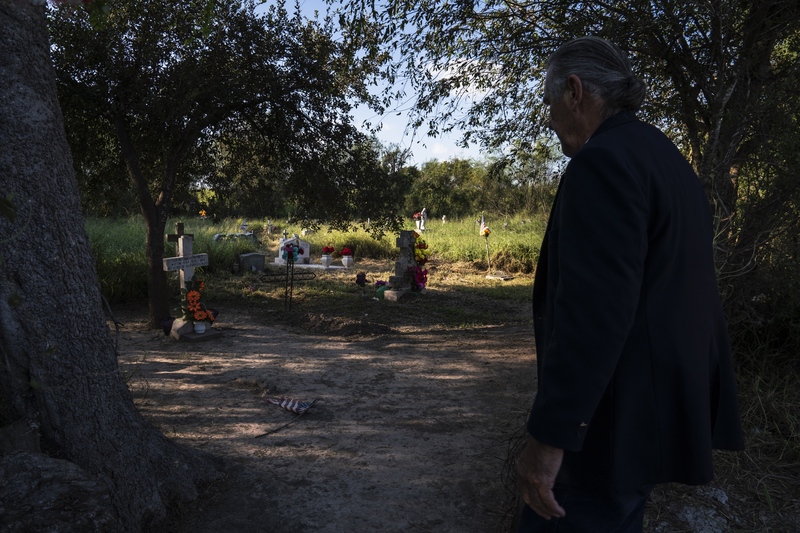 Now 70, Ramírez and other descendants of the Jackson family are fighting to save their family’s legacy and the gravesites of Nathaniel and Matilda, which could be destroyed by a border wall up to 30 feet high, one of the first sections of President Donald Trump’s wall slated to go up. This stretch would include not only a steel and concrete wall, but also a 150-foot-wide “enforcement zone” — an all-weather road and surveillance towers — that is slated to be built straight through the family cemetery in the coming year. A grave at the Eli Jackson Cemetery in San Juan, Tex. on Nov. 6, 2018. 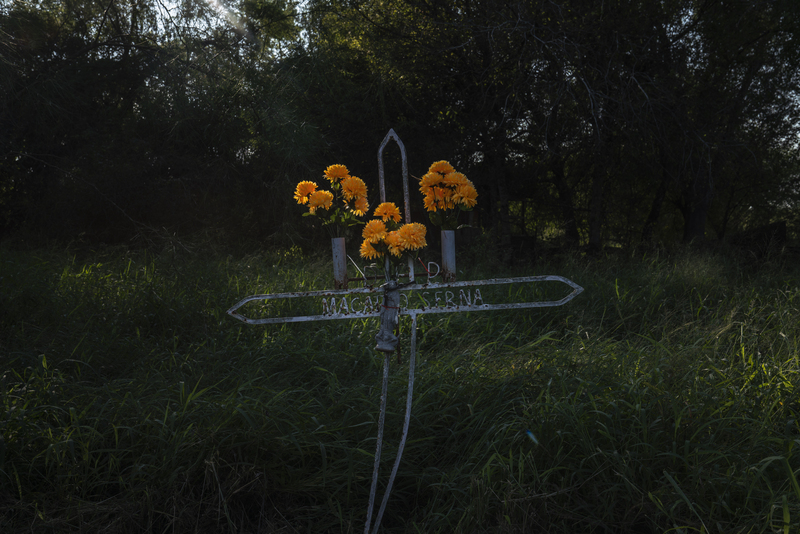 Listen to Melissa del Bosque discuss her reporting on Texas Public Radio. Ramiro Roberto Ramírez’s walks into Eli Jackson Cemetery where his ancestors are buried in San Juan, Tex. on Nov. 6, 2018.